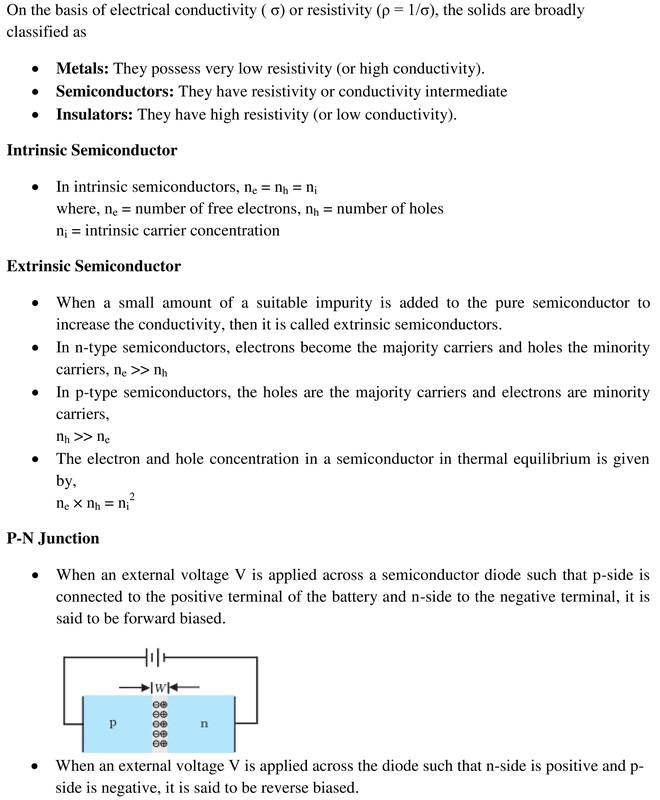 Find chapter notes of chapter Electronic Devices including important topics like classification of solids, intrinsic semiconductor, extrinsic semiconductor, p-n junction, photodiode, Light Emitting Diode(LED), solar cell etc. About 1-2 questions are always asked from this chapter in the examination. 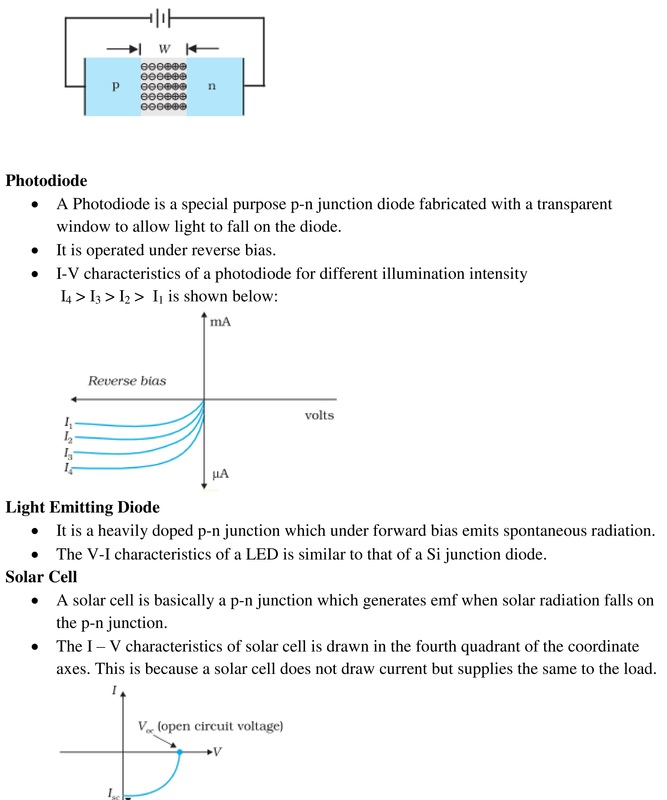 After the detailed analysis of the latest syllabus and the pattern of the few last year papers of WBJEE entrance examination, Subject Experts of Physics have prepared the chapter notes of chapter Electronic Devices. In these notes, they have also included some previous year solved questions which will help aspirants to get to know about the difficulty level of the questions which are asked in previous year WBJEE examination. Which of the following statements is not true ? Doping will increase the number of electrons only and not the holes.